(2017). A Study on the Kinetic and Thermodynamic Parameters of Different Acid Dyes on Nylon 6 Fibers. Journal of Textiles and Polymers, 5(1), 31-36.
. "A Study on the Kinetic and Thermodynamic Parameters of Different Acid Dyes on Nylon 6 Fibers". 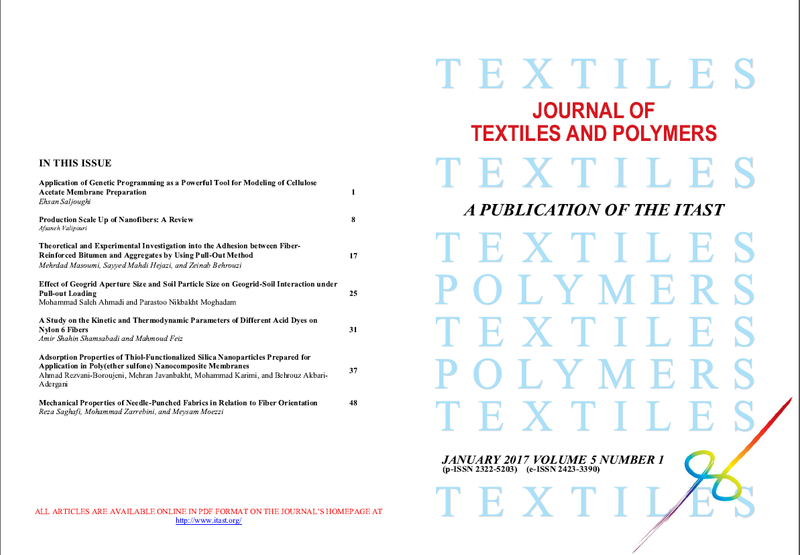 Journal of Textiles and Polymers, 5, 1, 2017, 31-36. (2017). 'A Study on the Kinetic and Thermodynamic Parameters of Different Acid Dyes on Nylon 6 Fibers', Journal of Textiles and Polymers, 5(1), pp. 31-36. A Study on the Kinetic and Thermodynamic Parameters of Different Acid Dyes on Nylon 6 Fibers. Journal of Textiles and Polymers, 2017; 5(1): 31-36.